Doing the 20-hour intensive course was one of the best decisions I could have made. 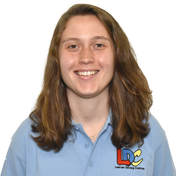 Charlotte made me feel calm, relaxed and in control at all times, but was always there to give support and guidance when needed. 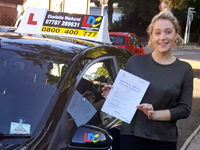 I was so happy to pass first time with her help! The LDC workbook was especially helpful in helping me to understand the test process and what the examiner was looking for. It really gave me confidence in my test as I knew exactly what was expected. Overall, I would recommend the Midway Pass Course and Charlotte to anyone looking to pass first time!